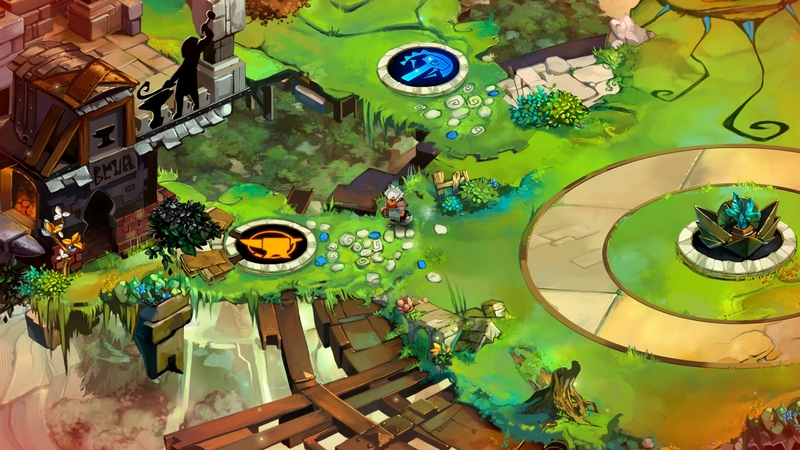 ​Bastion Coming to PlayStation 4 and PS Vita in 2015! File this one under things we never could have possibly imagined a couple years back: Bastion, our first game and recipient of more than 100 industry accolades, is coming to the PlayStation 4 and PS Vita next year! "Proper story's supposed to start at the beginning." Those attending the PlayStation Experience event this weekend in Las Vegas will have a chance to play a build of the PS4 version at our booth (stop by and say hello!). We always loved watching people try Bastion for the first time, so we're excited to bring the game to a whole new audience on PlayStation. For all the folks who played Transistor but not Bastion before it, we're looking forward to hearing what you think! Bastion is an original action role-playing game featuring a reactive narrator who marks your every move, lush hand-painted high-definition 2D artwork, and tight responsive gameplay that rewards playing with finesse. The game is designed to be simple to pick up and start playing, while offering a lot of rich choices around character customization as well as a deep story and gameworld you can lose yourself in. The first versions of the game launched in the summer of 2011 for the Xbox 360 and PC. Since then we've brought Bastion to a number of other platforms including Mac, Linux, and iOS, where it has enjoyed continued success, selling more than 3 million copies to date. What's different about the PlayStation 4 and Vita versions of Bastion? Bastion for the PS4 and Vita is intended to be an exacting translation of the original game, for those who haven't played it or wish to experience it again on Sony's latest console or handheld. Who's developing Bastion for the PS4 and Vita? We're working with the team at BlitWorks to create these new versions of the game. BlitWorks came highly recommended, which was no surprise given the great work they've done on PS4 and Vita translations of games like Spelunky and FEZ, and we couldn't be more impressed with the work they've done so far. When will Bastion for the PS4 and Vita be available and how much will it cost? 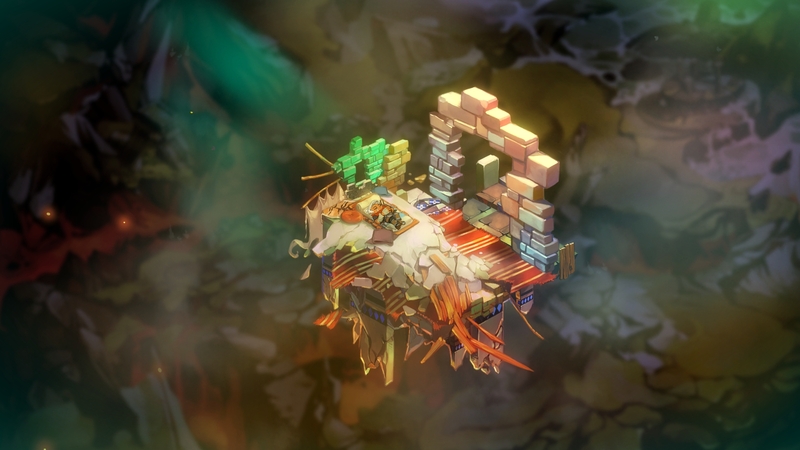 Bastion for the PS4 and Vita will be available sometime in 2015. Stay tuned for more-specific details on pricing and availability. Will Bastion for the PS4 and Vita support "Cross Buy" and/or "Cross Save"? Bastion for PS4 and Vita will support Cross Buy, so if you purchase either, you'll be getting both those versions of the game. We're looking into supporting Cross Save, where your saved data transfers seamlessly between devices. If I already own Bastion for another platform, will I get the PS4 and Vita versions automatically? Bastion for PS4 and Vita will be sold separately from other versions of the game. Does this mean Transistor is also coming to the PS Vita? We have no plans at this time to bring Transistor to the Vita, though we appreciate the interest and haven't ruled anything out for the future. Does this mean/Is there any chance Bastion and/or Transistor will be coming to/will never come to insert_platform_here? We often get various permutations of this question, and our answer is always the same: We have no plans for other versions of the game at this time, though we haven't ruled anything out for the future. The best way to keep up with the latest news about our studio is to follow @SupergiantGames on Twitter. Today's announcement of Bastion for the PS4 and Vita is a good example of what we mean by "haven't ruled anything out for the future", as we wouldn't have considered something like this if not for Transistor's success on the PS4 following its launch in May of this year. For better or worse, bringing a game to a new platform tends to be challenging and costly, especially when you factor in what else you could have done in the same amount of time. So, we need to weigh these choices very carefully, especially since we're a small team. That said, we do appreciate hearing from folks who'd like to see our games on other platforms, and surely Bastion wouldn't have come to as many different platforms otherwise. Ask away, preferably on Twitter or using the form on our Contact page! Any chance you could sneak in a plug for the Supergiant Store holiday sale? Yes! While we have your attention, most everything in our online store is now 20-25% off for the holiday season, now through the end of the year. Our most popular items include the Transistor Flash Drive and the Bastion and Transistor soundtrack CDs. Thank you for all your support this year, and happy holidays!